Mario Kart Tour is coming to your smartphone soon. 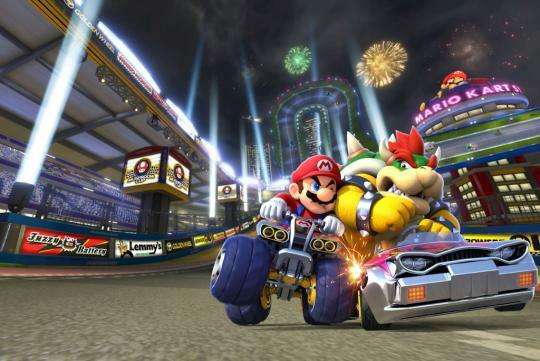 The Mario Kart franchise is one of Nintendo's largest, selling over 15 million units on the switch and wii u combined. This will be the first time that Mario Kart is available as a mobile app. It is reported that "Mario Kart Tour" may be the official title of the game Nintendo announced the game will be released in the next fiscal year, meaning somewhere between April 2018 to March 2019. This will be Nintendo's fifth mobile title behind Super Mario Run, Animal Crossing: Pocket Camp, the Miitomo social app and Fire Emblem Heroes. Tag someone who loves Mario Kart!